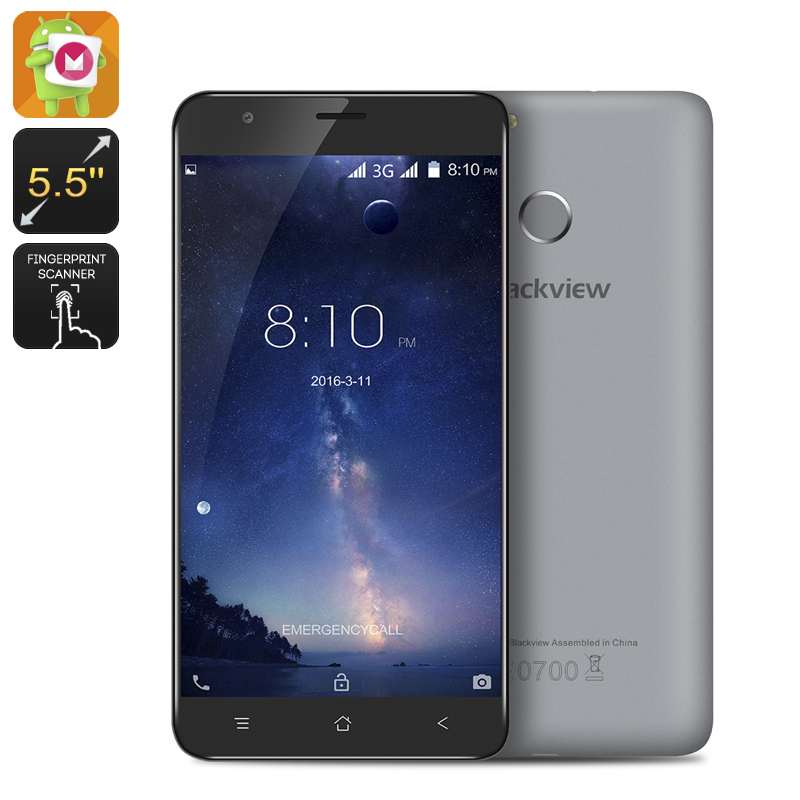 Successfully Added HK Warehouse Blackview E7S Smartphone - Quad Core CPU, 2GB RAM, 5.5 Inch Display, 8MP Camera, Fingerprint, Android 6.0 (Grey) to your Shopping Cart. The E7S from Blackview is their latest large screen phone and with an entry level price tag it's an affordable alternative for those wanting a large screen device without the large price tag. With the E7S you get a remarkable amount for your money, a 5.5 inch 720P display is a nice treat and brings respectable resolutions with nice color depth. Under the hood is a quad core MT6580 SoC and 2GB of RAM that is sufficient enough for your daily needs and can hold its own when playing games and multitasking. Despite its entry price, the Blackview E7S has a very good look with its 2.5D Arc glass screen that minimizes bezel sizes and makes the most of the display. The rear of the phone has been coated with a rubber paint to it feels exquisitely soft and is very comfortable to hold, the added bonus of anti-slip and scratch resistance is also nice and will keep your the phone looking great. A Fingerprint sensor is located on the rear of the phone and with its fast scan speeds lets you log into the devices in a fraction of a second. Running on the Android 6.0 this smartphone can take advantage Now on Tap, smarter battery control and greater customization so you'll have the perfect interface for all your needs. A humble 8MP rear facing camera performs exceptionally well capturing stunning images to so you'll have a great record of those memorable moments in life. There is 16GB of onboard storage and the micro SD card slot lets you add up to 32GB more so there's no lack of storage space. Up to 10 hours of talk time are available from every charge or as much as 56 hours in standby, all thanks to the 2700mAh battery and energy efficient performance that provides a full day worth of usage without the need to recharge. The Blackview E7S Android Phablet comes with a 12 months warranty, brought to you by the leader in electronic devices as well as wholesale electronic gadgets..
Gran batería, excelente desempeño en cualquier tarea de ofimática. Wonderful Smartphone. Features are best. I love 5.5 inch 720P display, OS: Android 6.0 and quad core MT6580 SoC and 2GB of RAM. The best feature of this phone that i like most would without a doubt be it's fingerprint sensor. There won't be a need for password to unlock the phone anymore.